Whoa whoa whoa…stop that. I see you shifting into fall fashion mode and going to put away your summer pieces. Pump the brakes for a second and let me explain why that’s a bad idea. I’m a huge fan of linen in the fall. The summer-centric fabric has a reputation for belonging at the beach, but I firmly believe it absolutely has a place on the city streets well into October and November. These feelings led me to today’s post – sponsored by Scarci, an luxury resort wear inspired brand using the highest quality of fabrics to create a uniquely comfortable and luxurious product, most of which is linen. Why I think linen works so well in the fall is that it’s a fickle time of year. The weather fluctuates too much to deny the potential comfort of a soft linen shirt. The breathability will keep you cool if the temperatures are high. 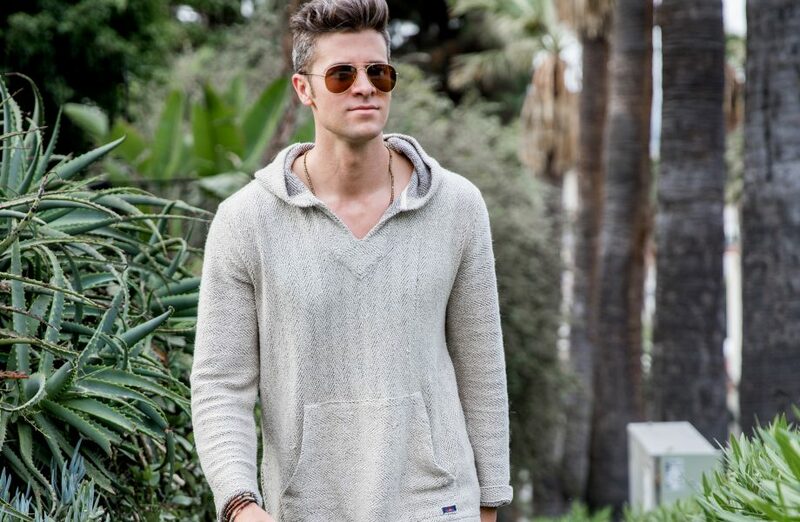 If it’s cool, you can simply layer up and be comfortable. 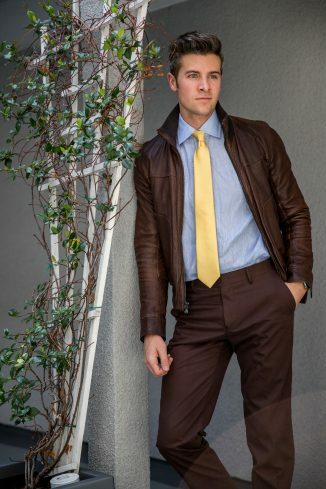 By sticking to a fall based color palette, you will look similarly to everyone else but your comfort level will be a step higher. The softness is the next reason why it’s always a good choice to reach for linen. Is “layerablilty” a word? No it is not. But that’s what linen offers in the fall season. You know how you’ve been dying to wear that leather jacket you found on sale at the end of last winter but it’s just been too hot? 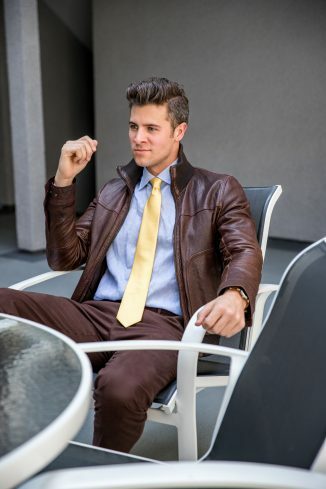 Well consider this, when you wear a thin, breathable under layer like linen, you can wear a heavier, warmer jacket and not overheat like you would if you had on heavy cotton or wool underneath your coat or jacket. It’s the perfect solution to creating the layered aesthetic we all know and love during fall without the hidden swamp of sweat under your jacket. One of the great parts about Scarci’s shirts, especially the one I’m wearing, is their ability to be worn in multiple different styles. It’s not always easy to wear a linen shirt with a tie because the collar is often too soft to hold the knot well. 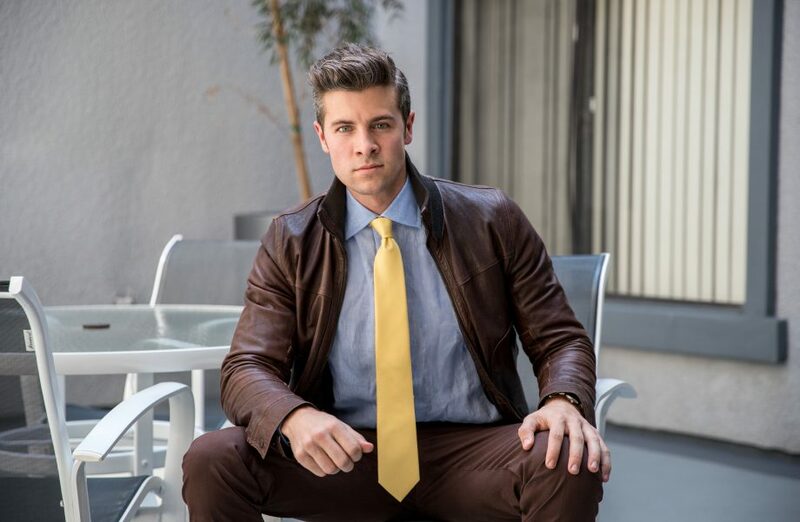 Scarci has designed their shirts in a way that fit more similarly to dress shirts, with a stiffer collar so that it’s easy to wear them with a tie. 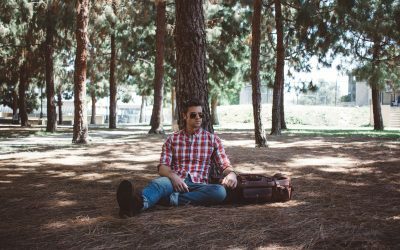 Wearing a white or blue linen shirt during fall works at the office or to a late season wedding and will keep you more comfortable than an over-starched white dress shirt that’s hot and stuffy. Use your options that will keep you looking your best while also keeping you at your most comfortable. You read that right. Now that you’re dressed in your linen, enjoy the comfort it provides. 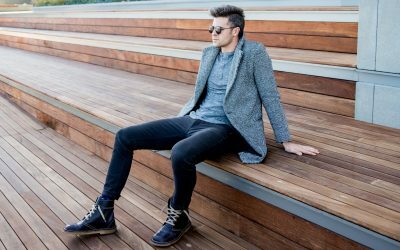 You’ll probably steal some attention because of your revolutionary fall style move, so be prepared to rock it confidently. 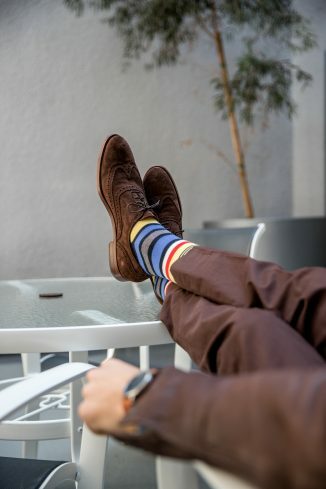 Kick your feet up and let the compliments pour in over how relaxed and elegant you look. 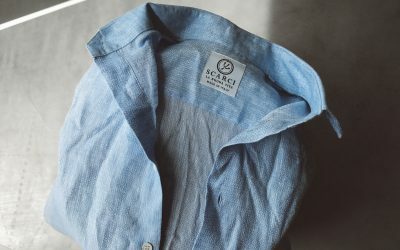 Be sure to check out today’s sponsor, Scarci Resort Wear for all of your linen and resort inspired clothing needs. They’ve perfected the art of a classic linen shirt, so consider buying from one of the best. As always, I wouldn’t recommend something if I didn’t also love it myself. As always, do it for you, not them.